Written by Marina Pape on November 16, 2018 Blog, Customer stories. In January this year, Mike was struck by the power of ‘unboxing experiences’ while watching a video from packaging company, Lumi. Only 5% of all pet food sales took place online. Mars and Nestle held market share globally for pet food and created all the rules. Laws favored pet food companies, who didn’t have to disclose what percentage of each ingredient went into their dry pet food (e.g. chicken versus wheat versus sugar). Pet food brands were widely mistrusted by consumers. The average industry markup for dry pet food was 80%, the majority of which went to supermarkets and retailers. It was an industry ripe for disruption. Transparency and quality issues aside, the traditional 20kg bags of pet food were not easily portable, unsightly, and took up an inconvenient amount of space in the home. A business case built around value for money, easier delivery, and ethics began to emerge. Every good product begins with research, or a lot of luck, and usually both! Product market fit is the extent to which your product or service meets the needs of your intended customer segment(s). Shopping habits in Australia are distinct from trends in North America and the United Kingdom: when it comes to consumables Australians don’t tend to shop online, in part due to Australia’s high density of suburban grocery shops and percentage of car ownership per household. 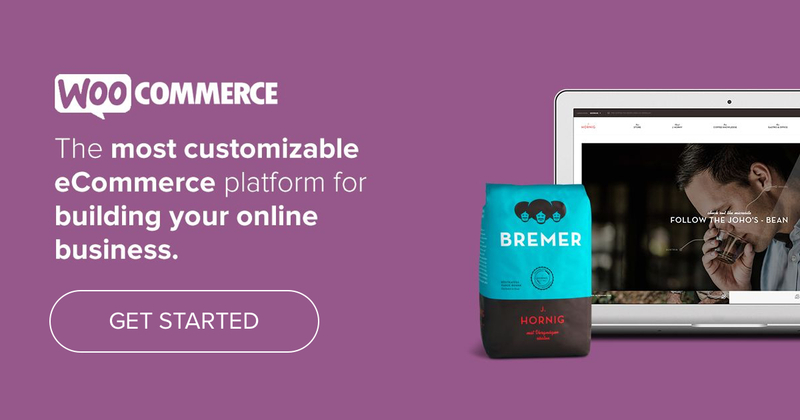 Mike felt confident he could offer a customizable online subscription experience and cut out the retailer, freeing up some of the 80% margin to put towards better ingredients. The result would be a lower-priced but better quality product with free shipping to Australian doorsteps. The pair co-founded and bootstrapped Scratch, taking some investment from friends to give them twelve months runway. They kept the business model deliberately simple with just a single product and SKU: One type, one size. Which left all of the complexity, finesse, and customization to the subscription experience. Scratch chose to differentiate their product with transparency, quality, and simplicity. Scratch built a feeding recommendation engine into the checkout process to make the experience different and take some of the guesswork off the dog owner’s plate. As you check out, calculations based on weight and age determine your dog’s caloric needs and suggest how quickly your pet should finish their standard 7.5kg box of food. For small dogs, this can be months! Bigger dogs might need a new box each week. Estimates change automatically as your dog ages. For this more complex customization of WooCommerce Subscriptions and the checkout flow, Mike worked with a freelance developer he found on Upwork. Metorik: really good insights and reporting. Easy to measure churn. Use the Engage feature for reminders and any triggers between orders (e.g. feeding guides). Hosting, scaling, and performance for the site are by The Code Co and Digital Ocean. If you need help with some customization, here are some recommendations. The seamless warehouse integration is key. The decision about which local warehouse to work with boiled down to the flexibility, ease of integration with the website, and tracking options the warehouse could offer. Tip: When selecting a warehouse or inventory management system, be mindful of ease of integration with your store. Older businesses sometimes use bespoke systems which can’t integrate easily with the WooCommerce API. The completely automated fulfillment means Doug and Mike can focus on other aspects of the business–like customer service. Scratch is experimenting with live chat which will be powered either by Facebook Messenger or Intercom, depending on which gets more uptake in their AB test. Add Live Chat for WooCommerce to your store to enable chat with Facebook Messenger and other third-party services. Intercom can be integrated into WooCommerce with Zapier – learn more. In Australia, pet food has traditionally been bought from nameless, faceless companies with offices overseas. Scratch is out to make things more human, real, and high-touch. There is a strong brand presence throughout the website, with attention to detail in the micro-copy, customized call-to-action buttons, and thoughtful content. The seriousness of the pet industry and responsibility of choosing the right food is artfully balanced with the fun of owning a dog. Following trends that have worked in the United States in the digital native space, the site design is stripped back and focuses on the product. The packaging was created to look good on the kitchen table and signal that it doesn’t contain your average pet food. Instead of leading with this ethical angle in their marketing, they articulate their values gently, like famously philanthropic but subtle brands Patagonia and Ben and Jerry’s. The next stage in engagement? To do some things in real life to engage with users. Over the summer holidays, Scratch plans to partner with Bumble to throw an event for single dog owners to meet one another. With light-hearted, press-worthy brand experiences like this, they hope to create word of mouth and organic social media content — organic marketing that’s oceans different from just another ad on Google. Dog owners in Melbourne and Sydney take note! An online quiz to learn what was in your pet food. This was hosted on a “Coming Soon” version of their website, including ten questions that subtly highlighted how companies deceive dog owners, then offered a solution in the soon-to-be-launched Scratch. The tone was informational rather than doom-and-gloom and got a few hundred people signed up. The thousands of others who viewed it were added to a remarketing list. A casting call for Melbourne’s cutest dogs. Scratch put out a call for Melbourne’s cutest dogs on their Facebook page and invited people to post a photo and leave an email. Nearly 1,500 users shared photos in just two days, and the post got really great reach. The video on the website homepage is some of the fruit of this endeavor: the bulldogs pictured, Simon and Wilma, also appear in (paid) street posters around the city. When the store went live, they had around 400 people they could email as well as thousands of dog owners they could reach via Facebook remarketing. Woof! They are running some Facebook retargeting leveraging purchase-intent (i.e., if someone adds a product to their shopping cart but doesn’t convert) plus some YouTube and search engine marketing to reach people whose searches indicate they are the right ‘tribe’: willing to spend on their dogs, like ‘pet daycare’ or ‘pet hotels’ (but not other dog food brands). What’s next for Scratch? Growing sustainably and hiring for a few more good people, throwing some events for customers, and possibly introducing some dog treats and one or two other little things, but come what may – keeping it simple. 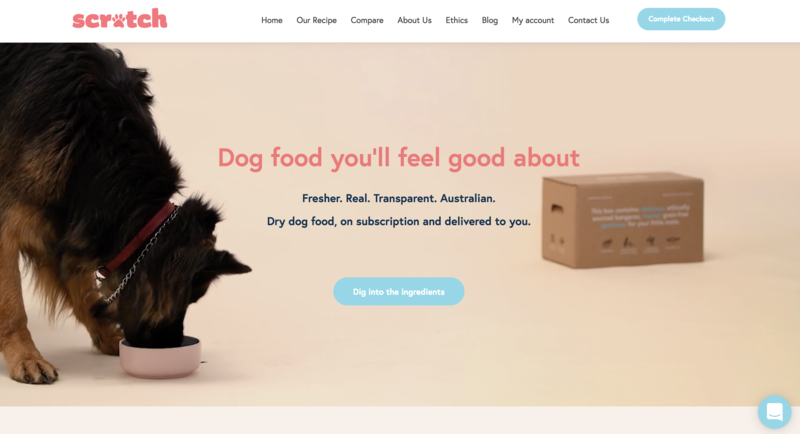 We’re proud to be the platform of choice for this brilliant startup and hope that in six months there are thousands of dogs being fed by Scratch in Melbourne, Sydney, and beyond. Are you dreaming up an eCommerce business? Let us know in the comments. Amazing case study and I really love these kind of articles because it’s motivate me. Interesting! Are you selling it online? Pet food certainly is an interesting world! Thanks so much Marina & the Woo team. Thanks for chatting, sharing our story and most importantly, making such a powerful platform for us to build a business on!